Oksana 2016-07-02 Country, Finances, Politics, Technologies. This is the closing article in the cycle devoted to Ukraine's TOP-5 IT outsourcing destinations. 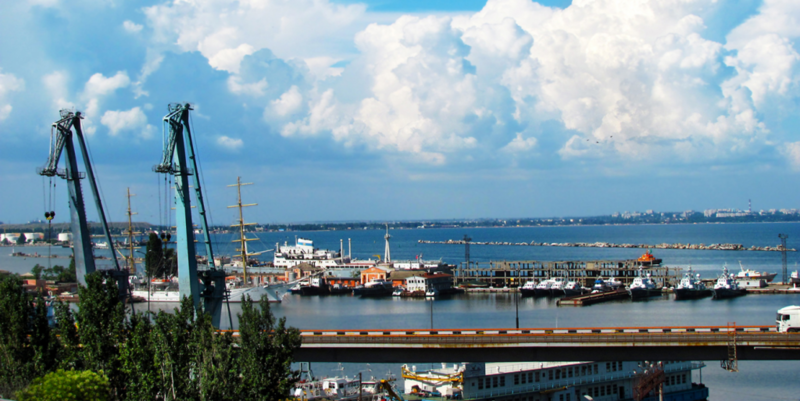 Odesa is the fifth largest destination in Ukraine and today is the most popular place to rest at the seaside due to Crimea annexation. Amidst being the most popular tourist destination of Ukraine, Odesa is also occupies one of the leading IT outsourcing positions due to the large IT talent pool. With over 6000 IT specialists, the city’s cluster comprises of up to 150 companies working under IT outsourcing business model. It has strengthened its positions in the industry also due to the annexation of Crime peninsula and gained a great number of specialists who didn’t want to stay under the Russian occupation. Moreover, current growth is also presupposed by the beneficial location. It is worth mentioning that local government is considering IT development as one of the most topical in the region, as this will help to raise more funds from the IT companies establishment and reduce the staff outflow to other regions or abroad. Leisure of the specialists is also great: Odesa’s IT specialists often organize table tennis, mini football and basketball tournaments aiming at promoting healthy lifestyle. Odesa’s educational resources are quite competitive as it offers a great variety of specialities including IT oriented as well. Among the most popular and known educational institutions are Odessa I. I. Mechnikov National University, Odessa National Polytechnic University, O.S. Popov Odessa National Academy of Telecommunications, as well as “Shag” Computer Academy branch. The aforementioned institutions supply over 1000 specialist for the industry annually, which is considered more than enough to establish local IT cluster. Except these, there are frequently conducted various master-classes, meetings, etc. Local companies also arrange clubs and schools to help school children to familiarize with how IT industry functions. Moreover, they offer training after which there great chances for joining a company and develop oneself within the software development field. Participation in conferences organized by both universities and IT companies is also a good opportunity to be noticed by TeamLeads and recruiters with further employment. However, local specialists feel that saturation of market doesn’t always correspond to the basic demand, meaning that only 20% of the graduates can find themselves employed by the big companies. The tendency is that local start-ups do not hire a lot of juniors in any of the spheres since start-uppers frequently decide on starting their project with the ready team to provide full-stack product support. Currently, young people, who cannot find the place to work simply get re-qualified and employed to a job that is far from IT industry. For non-residents of Odesa visiting local training and conferences is a good chance to combine business and pleasure; hence, your business trip might turn into a fine rest with useful time spending. For instance, IT Non Stop conference, the international conference held in Ukraine, Russia and Poland, usually takes place in July, isn’t that great? Frequently, the events of the kind are thematic – it is necessary to learn and register beforehand. It is not only an opportunity to make new acquaintances but gets know a lot of interesting information, share your experience and become involved in discussions devoted to the matters topical for certain branch or the industry in general. At the same time, the city is not cheap to live in. Average prices on food, travelling and rent are quite similar to Kyiv and Dnipro’s. Viewing the salaries level, these start from $156 for support staff; $600 and higher for software developers, QAs, etc. ; PMs, TeamLeads, senior programmers (depending on their working “language” get over $2 200 monthly). All in all, Odesa IT market is rather equipped with specialists and teams providing full-stack services: from product design and development to its testing and promotion, thus, a small part of graduates enter the market annually. The best option to occupy a place in the industry is to participate in different conferences and be an active player in the industry development.